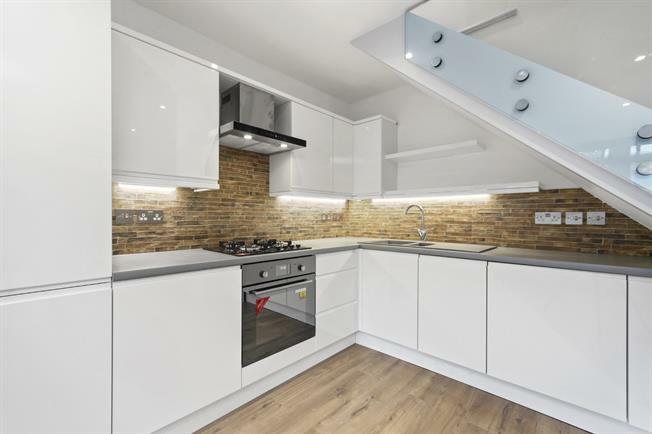 4 Bedroom Flat For Sale in London for Asking Price £550,000. Set within this well maintained 1960's purpose built apartment block which offers a fantastic balance of living, entertaining and accommodation measuring 846 Sq ft, making it the perfect alternative for many buyers within today's market place. The property further benefits from four decent size bedrooms with an en suite shower room to the master bedroom, and a stunning open plan kitchen reception. The current owners have spared no cost to offer to the market this stunning apartment which is ready to move into straight away. Ideally placed near by Battersea Square which has been attractively landscaped and 'part pedestrianized'. It is well known for its open air cafes and restaurants. Transport North of the river is provided by Clapham Junction mainline station and the local Hopper bus that runs between Victoria station and Clapham Junction. Shuttleworth Road is a peaceful location moments from the wide open spaces of Battersea Park, offering a great outdoor space for walking and recreation. Clapham Junction is located within a 10 minute gentle walk, which offers a cosmopolitan mix of shops, bars, boutiques and restaurants..